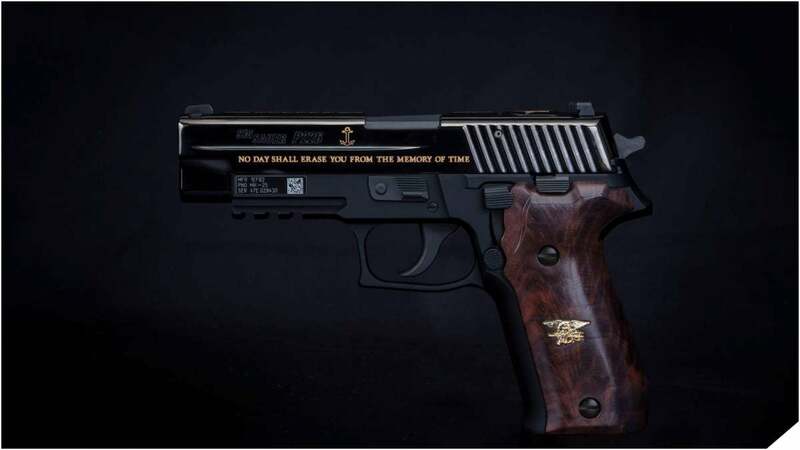 New Hampshire-based Sig Sauer announced this week they have created a special MK25 pistol to commemorate the actions of SEAL Medal of Honor recipient Britt Slabinski. Slabinski, a Massachusetts-native who made Eagle Scout at age 14 and joined the Navy right out of high school in 1988, served 25 years in elite SEAL units, ammassing 15 combat deployments. On March 4, 2002, then-Senior Chief Slabinski was leading Mako 30, a reconnaissance team atop Takur Ghar, a 10,000-foot snow-covered mountain in Afghanistan, during Operation Anaconda. An enemy RPG attack on the team’s insertion helicopter caused a fellow SEAL to fall onto the enemy-occupied mountaintop below and forced the damaged helicopter to crash land. Slabinski led a furious 14-hour-long action in sometimes waist-deep snow until they could be extracted. Slabinski was credited with rallying his teammates to rescue a stranded Team member but was not recognized with the nation’s highest combat honor until 16 years after the event. 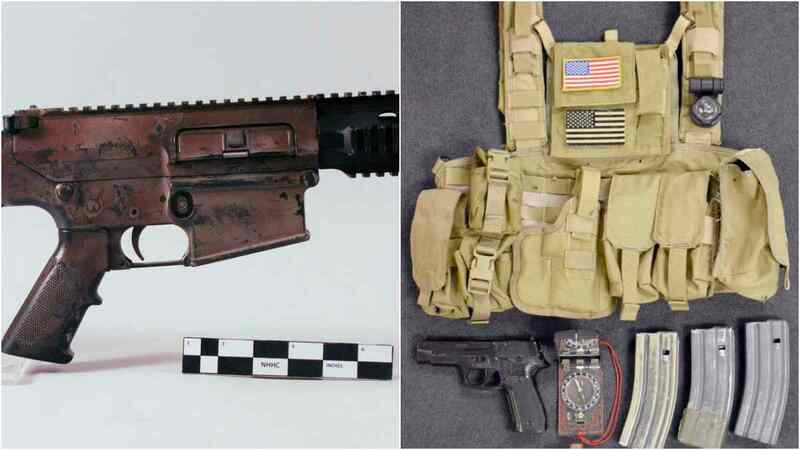 The weapons carried by Slabinski that day included a carbine and a MK25 — a Sig P226 modified for the SEALs in a special contract. The rifle, along with items such as his training equipment, is now in the collection of the Naval History and Heritage Command. The top of the slide has a likeness of the Medal of Honor engraved on a raised piece of metal recovered from the World Trade Center, and six stars representing SEAL Team Six, Slabinski’s unit. The left slide has the phrase “No Day Shall Erase You from the Memory of Time” displayed at the World Trade Center Memorial. 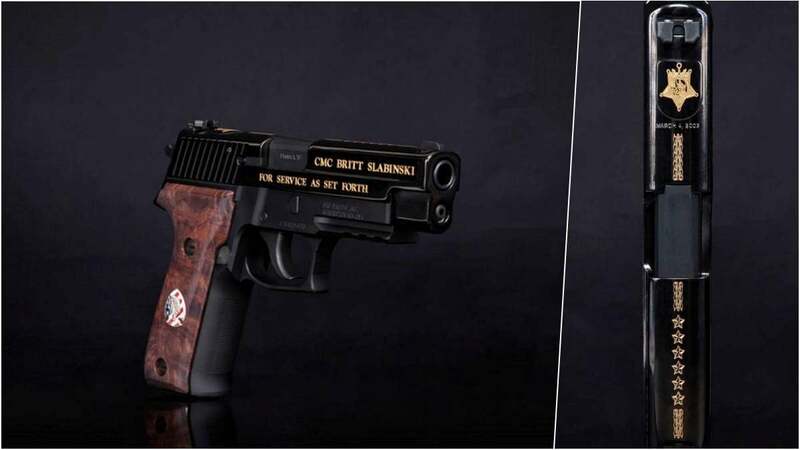 The American Black Walnut presentation grips feature the red unit medallion of Slabiniski’s SEAL Team on the right panel while the left grip has the SEAL Trident insignia. 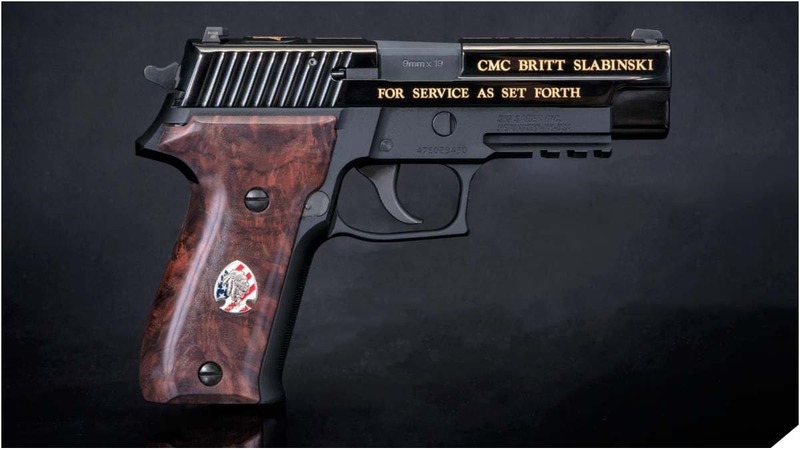 The commemorative MK25 was presented to Slabinski in a private ceremony at SIG’s headquarters in Newington, New Hampshire.